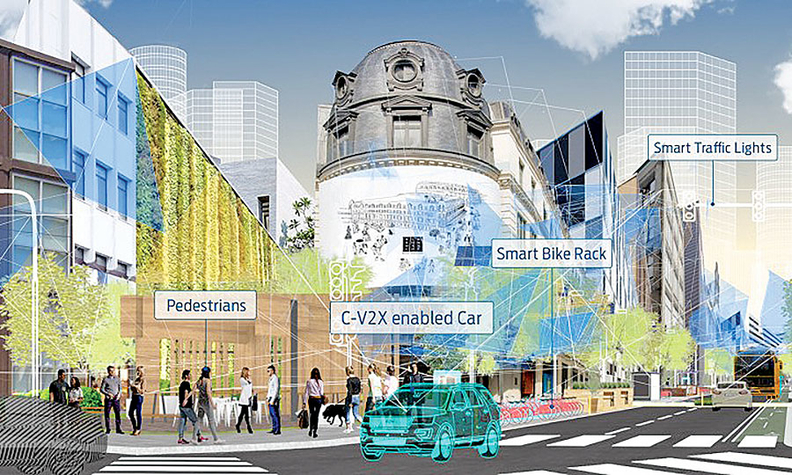 Ford and Qualcomm envision a city landscape integrated with cellular V2X technology. Ford Motor Co. even announced that it would start building this technology, known as cellular V2X, or C-V2X, into new models starting in 2022, provided the government doesn't pass any laws that make it harder to introduce it into the market. Two years ago, the federal government proposed mandating an alternate technology — digital short-range communications, or DSRC — be implemented in new cars to transmit messages that could warn motorists of icy roads, hazards, even that another driver is about to run a red light. But that proposal has languished in a Trump administration averse to regulation. In the interim, companies such as Ford Motor Co. and Qualcomm have developed the means to send these "basic safety messages" via cellular communications instead of DSRC. Volkswagen Group and Toyota Motor Corp. have previously stated they'll deploy DSRC. But last year, China signaled support for a cellular approach. Now, Ford's announcement gives cellular more momentum. "We believe cellular vehicle-to-everything is the technology with the most potential to allow the cars and cities of the future to communicate quickly, safely and securely," said Don Butler, executive director of connected vehicles and services at Ford. Qualcomm has emerged as a vocal proponent of the cellular V2X approach, having worked on a pilot project with Ford in Colorado last year, and having supported similar trials in China, Korea and Europe. Though the company also has chipsets that support DSRC, Patrick Little, senior vice president of Qualcomm's automotive division, says a cellular approach makes more sense because cellular modems are already being installed in vehicles, and the upcoming arrival of 5G connectivity will further enhance the speed and reduce the latency of these safety-critical communications. "We're pushing C-V2X, and the reason why is that C-V2X rides along with the mobile road map from 4G to 5G, so as you do 5G, this will be backwards compatible, forward compatible, it will meet the 3GPP standard and it works with infrastructure," Little said. "We think it's a much better way to go." If DSRC holds an advantage, it's that it has been tested and vetted for more than a decade. As Volkswagen and Toyota have shown, it can be deployed immediately and achieve the critical mass of units needed on public roads to make this worthwhile — with more cars equipped with V2X capabilities, more of them will be able to both send and receive warnings. 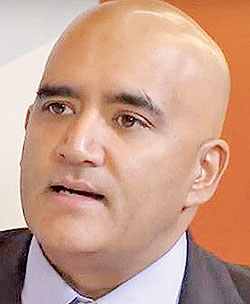 Shailen Bhatt, president and CEO of the Intelligent Transportation Society of America, is concerned that a split approach — some automakers choosing DSRC and others choosing cellular — will undermine connected vehicles' life- saving potential. "The specific technology is somewhat immaterial," he said. "As the head of an association, I'm not here to make a market decision. But as a former DOT director and someone fixated on the idea of almost 40,000 people dying on our roadways, I want to do everything we can to get vehicles talking to each other. It is something that will help save lives." Researchers say up to 8.1 million car crashes and 44,000 deaths could be prevented if the federal government would issue a mandate on connected-vehicle technology rather than wait even three years, according to an analysis conducted by the University of Michigan's Transportation Research Institute, which advocates a DSRC approach. Eventually, such information could provide additional operational instructions to autonomous vehicles, which are currently restricted to the line-of-sight road-environment observations made by their on-board sensors. Though it's in a nascent stage, AVs could use V2X technology to essentially see around corners and learn about hazards ahead on the road. "When you have that cross-talk, you undermine the safety function," he said. "Remember, this is a safety function, and that's like two people sitting in a car, and one is yelling in English and the other is yelling in French. … I think C-V2X is a no-brainer, and with Ford's announcement, I think others will start to flip. They've had enough of this round robin." "It's great that if what gets people excited is this idea of self-driving cars, but I'm much more excited knowing there are technologies being deployed right now that can identify my wife and kids in a crosswalk," Bhatt said. "That information can be relayed to a car, so that the car knows they're there even if a distracted driver doesn't." Editor's note: An earlier version of this story, which also appeared on Page 64 of the Feb. 4 edition, incorrectly identified Shailen Bhatt. 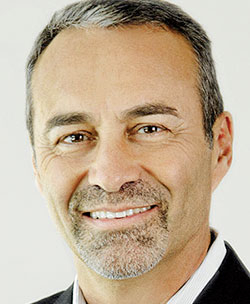 He is president and CEO of the Intelligent Transportation Society of America.